Purchasing a piece of property always involves safety and structural inspections. But checking the roof structure and making sure that the plumbing is up to code aren’t enough. 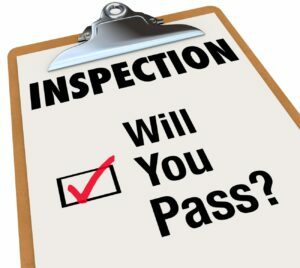 You need a mold inspection as well. 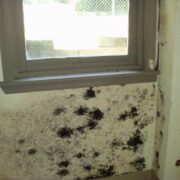 Mold thrives in damp and humid conditions. It can grow on wood, carpets, and insulation systems. They reproduce rapidly through airborne spores and can travel. 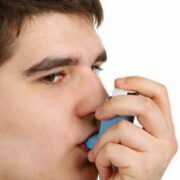 Some of the health problems it can cause are diarrhea, vomiting, liver problems, respiratory distress, headaches, and a weakening of the immune system (among many others!). Thus, keeping your home clean and dry is a must to keep mold growth at bay. You can’t get rid of mold completely, but you can take steps to inhibit growth. You know its mold if the patch is sooty gray or black. Mold starts to pose a threat when they reach a size of at least two square feet. 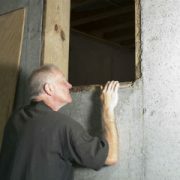 It becomes even more so, when they begin to infest carpeting, drywall, and the insulation system. Should you find mold growth in these areas, you might need to replace these items with a low nitrogen, non-cellulose material. If the mold patch is smaller than two square feet, you can DIY it by using a chlorine-bleach solution (1 gallon of water mixed with 1 cup of bleach). The toxic mold should come off with scrubbing. Don’t forget to don rubber gloves, eye protection, and a safety filter mask. 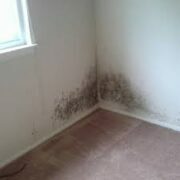 Remember that dry mold should NEVER be scraped because doing so releases the toxin-carrying spores into the air. Other mold growth areas are leaky or broken pipes, windows and doors that have faulty seals, leaking roofs and other cracks. Check air conditioning coils and registers, as well. If you’ve had flooding incidents, getting the area dry is a must. 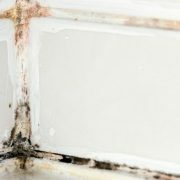 Where else to find mold? Use your nose. 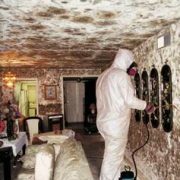 You will most likely smell the musty odor of mold before you even see it. Odors are a good indicator. If you suspect this, call a certified mold inspector.